The summer -- a time for playing songs loudly on your car radio, staycation binge-watching shows you've neglected, and chilling out with movie theater air conditioning -- is nearly over. We're not ready to say goodbye just yet: all this week we're giving shout-outs to our favorite pop-culture moments of summer 2016, so that we can keep the good times rolling into the fall. 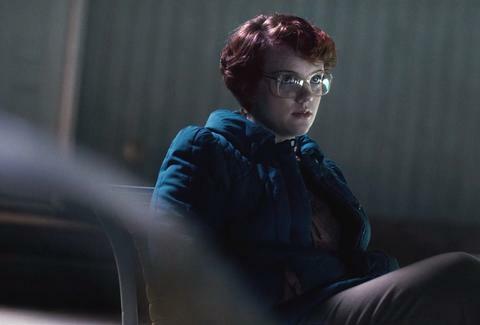 Fame is a slow-and-steady climb for most actors, but Shannon Purser netted her fair share of it with her very first role: Barb Holland on Netflix's runaway hit, Stranger Things. As Nancy's prim, doomed best friend, the 19-year-old actress has witnessed her small but pivotal role celebrated with a zeal-to-screen-time ratio not seen since Lyanna Mormont fever back in June. Now the newcomer from Georgia is lining up Hollywood offers; just this week, Purser nabbed a role in The CW's upcoming Archie Comic series, Riverdale. How does it feel to ride a hit Netflix series to viral fame? Purser rang us from Los Angeles to talk Stranger Things, the social media tsunami, and the future of Barb-mania. This summer, Barb inspired dolls, T-shirts, comics, posters, memes, GIFs, menu items, a mural, a rap, and a YouTube spinoff. There's going to be a huge candlelight vigil for her in Massachusetts next month. How are you processing all of this? [Laughs] It's just all so surreal. I see these things and I almost just don't even believe it because it's not something that I ever really imagined for myself, especially not this early in my career. This is my first project. And people have really responded so positively and really have latched onto her, and it's been amazing. It seems like almost every day I see something new, and it's incredible. What was your experience of watching Stranger Things back at home? Did you make up any sort of backstory for Barb? We don't really know any details about her except that she goes to school and studies, she has a car, she wears high-neck collars and mom jeans and glasses, and she's a loyal friend to Nancy. It was really easy for me to get into character, especially with her, because I feel like we have a lot in common. But I didn't really feel like I necessarily had to go really, really in depth with her past to understand the way that she's thinking or the way that's she's feeling. But one thing is that I definitely think that she and Nancy have been friends forever. Like, childhood best friends, always. And I don't know why, but I also have the idea that she has siblings. I don't really think of her as any only child, I think she probably has an older brother or sister. That's just kind of something I've always imagined for her. So right before Barb vanishes, she attempts to shotgun a beer. Did you have any idea how to do that? [Laughs] No, I honestly didn't. They're like, "OK, shotgunning a beer," and I'm like, "I don't know what this is." People literally on the crew had to come up to me and explain to me what it was, and they're showing me how to do it and how it works. So, honestly, I'm still slightly confused as to what happened to Barb. How do you describe what happened to Barb? So, honestly, I'm still slightly confused as to what happened to Barb. But the way that I see it is that she gets captured by the Demogorgon 'cause it smelled her blood [from when she cuts herself on the beer can] -- I think that's how the whole thing works, although I'm really not sure. And then I'm kind of trapped in the Ultimate Dimension or the Upside Down, and it's sort of stalking me and trying to hunt me down. And at that point, she gets dragged down and you don't really see what happens to her. And then, the next point you see her, she's looking very, very dead, with gross things crawling out of her mouth. I've heard a lot of different theories about what happened to her, and I'm not really sure if any of them are true. But I know some people thought that maybe she was being used as sort of an incubator to harvest, like, more monster things. So I have no idea, I don't. I mean, that would be really cool. All I know is that something sketchy is going on with her, and as we see at the end, there's that bit with Will, too, coughing up gross things. So I'm sure that the Duffers are gonna bring that back in Season 2. In the scene where Eleven is in the kiddie pool channeling the Upside Down, when Nancy asks if Eleven can see Barb and she answers, "Gone," you took that to mean that Barb's dead, right? Yeah. I mean, I haven't heard anything from the brothers otherwise. If they bring her back, I mean, that would be awesome. Hopefully they'll let me know eventually. But yeah, I took that as a bad sign for her. The Duffer brothers said recently, "We'll make sure there's some justice for Barb." What was that like for you, as the actress behind the character? It's crazy, and it's really sweet to know that there's been such a huge fan response that they've kind of had to sort of reconsider how they've created her, and maybe even including more of a tribute to her. So that's been a testament to the power of the people, and the fans really do have that much sway and that much say. Because, initially, I don't think Barb was really intended to be that much of a fan favorite. And now they're sort of realizing that, Oh, maybe people are more invested in her than we thought, and maybe we'll have to give her a little bit of justice. I appreciate that. As much as I would love to come back, I would be happy with just some justice for Barb. For sure. Have you perceived any Barb backlash? A little bit. I think that people have sort of swarmed to my defense, or to Barb's defense, and really responded to her and connected with her a lot in just a really short amount of time. It's been crazy how fast people have really latched onto her and sort of claimed allegiance to her. But, yeah, I've seen a few posts like, "Barb isn't a big deal," "Barb was just supposed to die. I don't get why everybody loves Barb that much," and OK, they're entitled to their own opinion. But [then there are] all those fans who love her as much as I do, and they really want to see her get some justice. Jenna Marotta is a contributing writer for Thrillist Entertainment and is Team Barb. Follow her on Twitter @jennamarotta.